The onset and growth of social media pushed the boundaries within marketing and created incredible opportunities. All of a sudden, the impossible became possible. It became effortless to take information about products and services to the doorstep of a wider audience – as long as you understood the process. 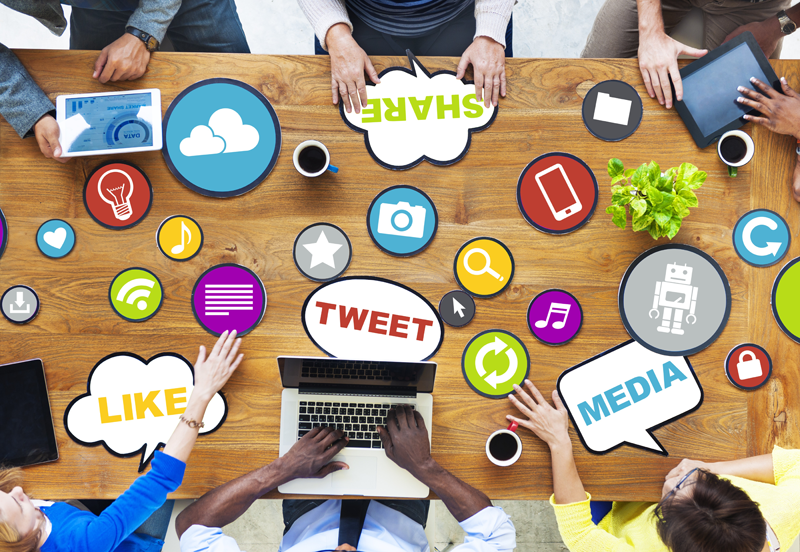 Non-profit organizations and charities are in a unique position to leverage the advantages of social media for their marketing strategies. Some people believe that the best approach to non-profit marketing is simple: occasionally updating your website and hosting annual benefits or galas. Such people are definitely missing out on many rare yet significant opportunities. Even with charities, marketing should be seen as a way to satisfy both donor and consumer needs as well as deliver any breaking news pertinent to your cause. It is also an excellent way to not only broadcast your mission statement and your core principles but also alert the general public to any events you are planning. There are many relatively straight-forward marketing activities which can greatly assist you in promoting your charitable organization. These activities may also help to educate a wider audience which may enable you to attract more beneficial members of the public who may be willing to support your cause. Essentially, non-profit organizations are a unique sector within social media marketing with their own special needs and expectations. Its structure which includes humanitarian focus, donation backing and membership-based presents a great opportunity to put the social media to good use. On the other hand, they may have a unique set of challenges to conquer. Below are eight tips that can make a significant impact in achieving the marketing goals of your organization. These can be implemented both with the help of a social media marketing agency, or even alone. The first tip is to sit back and brainstorm the goals you wish to accomplish with your charitable organization. What awareness are you trying to raise? Is your organization donation driven or do you aim to acquire and educate a broader audience at your events and consequently more volunteers to support your cause? Your overall social media campaign is likely to be more effective after you have honestly answered these questions which will ensure that your goals are clearly understood. Once your goals are clear cut, the next thing is to determine who will form your target audience. Defining your target audience is crucial because it regulates every other decision you are going to make in the future. You should be conversant with the socio-economic background of your average supporters. There are many aspects to take into consideration including their age, economic background, location, their mindset about your organization as well as how you would like your cause to be portrayed. Another factor is the type of volunteers you would like to have on board and tailoring your messages towards such people. When making a decision on what to post and what not to post, it is vital that you keep these considerations in mind. After determining who your target audience should be, you need to make an informed choice of the social network platform that will best suit your marketing. According to a Hubspot survey (2014), Facebook topped the list as the number one social media network favoured by charities at 98%. The next on the list is Twitter with 70%. When it comes to volunteer training videos and motion pictures of previous events to aid in recruiting new volunteers, YouTube becomes the most effective. It is not always necessary to create a presence on all social networks. What is more important is for you to understand how each network operates to enable you to choose the one that best suits your needs. A tracking tool will serve to measure your progress. A crucial question is what criteria do you need to track to better comprehend your level of success and goal attainment? You need to know whether your campaign worked as expected. With most non-profits organizations, donations are a high priority, and that may be a great starting point especially for someone who lacks ideas. The number of new volunteers and supporters can also be tracked at the end of a social media campaign. For people whose plans involve marketing on Twitter, the creation of an appropriate hashtag is very important. Hashtags should be made very brief, unique and unforgettable but most importantly, it has to be one that can be easily linked with your organisation. It is crucial to note that hashtags carry an element of risk – you need to keep it under close surveillance, or it might be hijacked. Your volunteers should be encouraged to make good use of your hashtags and take an active part in the interactions on the social media platforms. That way you will get sufficient user-generated content that you can repurpose as well as use in telling your non-profit story. Those personal tales and images will aid in engaging existing volunteers as well as recruit new ones. How equipped are you for this project? Do you have sufficient funds and time to devote to social media? Are you skilled at creating content? Are your blog posts useful and effective? To be able to access your capabilities and strengths accurately, you also need to explore your weaknesses and limitations and decide how to mitigate them. When it comes to social media, non-profit organisations are faced with a different set of circumstances. Under normal situations, people consider them as a responsible source of information which engenders a genuine need to become part of their cause. But when their messages are poorly constructed and ineffective, the backlash they are likely to receive will be ten times worse than other organisations. So, you need to be very receptive and exhibit transparency to keep the ball rolling. This may be the last point, but it is definitely not the least. You must take a good look at how other organisations have effectively leveraged social media to drive their causes. Check what the most successful ones have done right and emulate them.